As you’ve probably seen from the dozens of emails in your inbox, the European Union’s General Data Protection Regulation (GDPR) law has gone into effect. This has forced companies to change how they store your data, be more transparent about what data they have, and allow you to delete it if you want. While this law doesn’t have much effect on those outside of the EU, those outside the EU can actually use it to their advantage. Indeed, thanks to the GDPR, most users can now enjoy faster web loading speeds. The GDPR restricts websites from using common forms of tracking on the web, including ad servers, Google’s various analytics, and social media sharing buttons. Every time you open a website that uses these elements, your browser has to load them, which takes time. GPDR-compliant websites strip away most of these elements, making each page load much faster. Of course, websites still want to collect information on users from other countries if they can. But no matter where you live, you can enjoy these same speed increases by using a VPN! If you didn’t know, VPNs disguise your browsing by making it look like your traffic comes from another location. 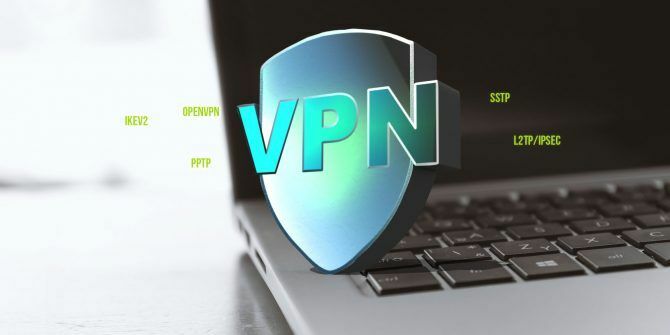 With a reputable VPN service The Best VPN Services The Best VPN Services We've compiled a list of what we consider to be the best Virtual Private Network (VPN) service providers, grouped by premium, free, and torrent-friendly. Read More , you can simply connect to a server from the UK or another country in the EU and access the benefits of GPDR. Web developers have found this makes a huge difference in both speed and amount of extra junk loaded onto websites. When using this method, note that some websites block EU users because their site isn’t GDPR-compliant yet (or will never be). Also, keep in mind the dangers of using a free VPN. We recommend a reputable service like ExpressVPN, which won’t sell your browsing data or inject ads. Explore more about: GDPR, VPN. I cannot help but comment on the irony of this article. makeuseof.com is the number one slowest loading site for me because of all of the junk it contains! It is so bad that I often cannot use the Safari web browser with the site and have to switch to Firefox just to use it. Did the author of this article actually do some research? This is based on ONE tweet, testing one site (USA today), then added the Verge to his "evidence", in one thread. If you actually read that specific tweet, the author, while claiming to be a developer/master's degree student, has either a messed up internet connection or simply bad at basic math. "They went from a load time of more than 45 seconds to 3 seconds"
Either the guy has a dialup connection, lives in a bad area, bad in math, made stuff up, or does not understand how this works. I'd go with a mixture of all. This is nothing but falsehood, and the author wasted his time on such an article. Pretty pointless imho. There are plenty of good reasons to use a VPN, but speeding up websites it's not one of them, even with this new EU law. VPNs have improved but still need to come a long way to consider them fast. I'm an ExpressVPN user myself, I experience a drop from my 200Mbps connection to 50-75Mbps when connecting to a server closest to me, if I connect to a EU server I drop to a speed of 3-10Mbps. That big drop in speed makes the gained speeds from the removed tracking pretty pointless as one doesn't outweigh the other. This is silly, obviously not written by someone with dev knowledge. All ad stuff is asynchronous. It doesn't affect your experience. Only having 10% of the tracking load on the page doesn't affect user experience? Why do people block trackers/ads to speed up their experience, then? Speeding up a page isn't the only reason for people to use blockers. For example, there's those who just don't want to be tracked, and others who simply don't want to see ads for no other reason of being annoyed by them. Not true. Sometimes ads can take a long time to load, because their server is busy (?) and that makes the whole webpage unusable until it's done. If you live in the USA it might seem pointless, but here in the EU there are several countries where mobile data is sold in packages. For instance some people might have 3 GB of data per month on their mobile plan. If a website wastes 60% of the bandwidth for ads (it happens, there are several stats about this) this means a slower experience AND that you run out of data quicker. This really affects the experience. Moreover, it would be great if all ads where async. They often aren't. How Do I Know VPNs Won’t Intercept Bank Login Details?